We specialize in installing aluminum fencing in Murfreesboro to help your property look as good as possible. Aluminum fencing is considered by many to be the best-looking fencing available, and can indeed be very ornate looking. Aluminum fencing is a very secure type of fencing that is built to last for many years. People love it because it is very low-maintenance, affordable, and built to last. It’s great for marking property lines, protecting pets, protecting loved ones, and generally adding a touch of class to your property. Aluminum fencing is great for pool areas, and for general property lines as well. It’s a type of fence that is used both commercially and for homeowners alike, it’s that versatile! Today aluminum fencing comes in a variety of styles, colors and can be custom designed to meet your needs. Electric aluminum fence gates are a great compliment to your alumimum fencing as well. If you are looking for a reputable, experienced, trustworthy local aluminum fencing company in Murfreesboro, then look no further. 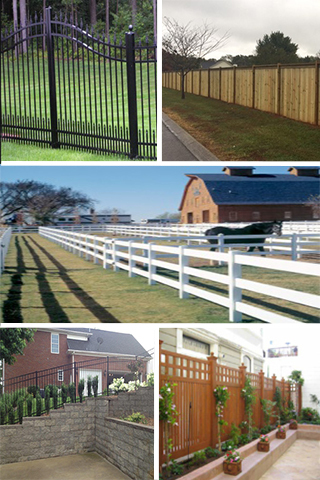 Middle Tennessee Fence has the team ready to help you get the best fencing available. We will work with you to make sure you get the best style, look and appearance for your new aluminum fencing. Call us today for a FREE, NO-HASSLE, NO-OBLIGATION quote! 615-785-0861.